dance has been a part of my life for as long as i can remember. it's in my blood. i inherited my love of dance from my mom who danced for years and still takes dance lessons now. over the years, my mom danced with many different companies, taught dance, and even created her own dance show which she took on the road and performed at different venues. this weekend is my dance studio's christmas show. spending so much time dancing and rehearsing the past few weeks got me thinking recently about my mom dancing when she was my age. i was looking through old photos and came across several of my mom's old dance photos. i scanned them to preserve them, and thought i'd share them. i absolutely love looking back at old photos of my parents from before i was born. 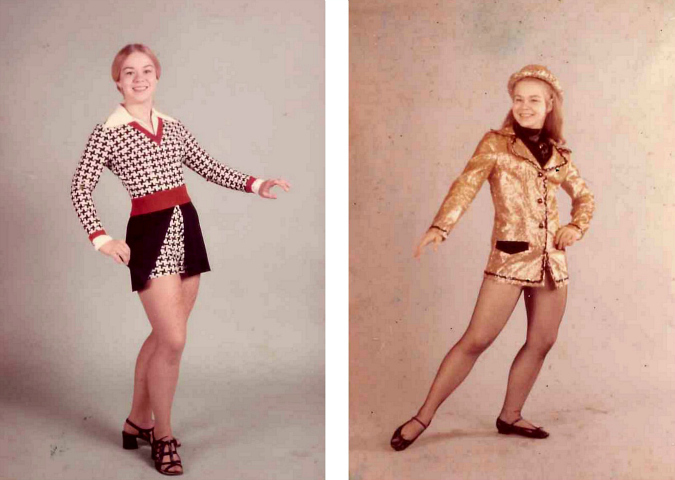 i especially love this collection of my mom's old dance photos. she is absolutely beautiful. Oh Wow! What a collection of pictures, I feel honored. Thank you for the nice comments. Yes, you were born dancing and I am glad you have starting dancing again. Dance aligns the mind, body, and soul and you feel great. Looking forward to seeing you do a great performance. Wow, these photos are beautiful!!! Thanks for sharing them!! !